With our expertise in this domain, we are engaged in manufacturing and supplying Dust Collecting Equipment. These Dust Extraction System are used for collecting very fine particles and so for the reason manufactured under the strict supervision of experienced professionals. Offered dust collectors are rigorously examined on different parameters of quality and then forwarded for the final dispatch to the patrons. 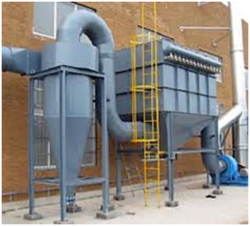 With our expertise in this domain, we are engaged in manufacturing and supplying Dust Collecting System. These Dust Extraction System are used for collecting very fine particles and so for the reason manufactured under the strict supervision of experienced professionals. Offered dust collectors are rigorously examined on different parameters of quality and then forwarded for the final dispatch to the patrons. We offer a wide assortment of Drilling Towers. 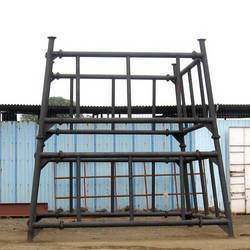 The product is fabricated from finest quality of raw materials like M.S. Schedule 40 pipe, to provide maximum durability and long service life. Used in various applications such as soil testing in rivers & coastal area till in the depth of 18 meters and piling operations before construction of railway bridges, sea construction, & jetties, these towers are highly acknowledged for its portability and detachability features. Detachable- can be assembled & dissembled on site. It is made of M.S. Schedule 40 pipe & made section wise. so.. it can be used as per desired depth.